As privacy becomes the buzzword of the 21st century, businesses are drawn towards secure hosting to attract and appease customers. Internet security is no longer a supplemental bonus but a requisite mandate in the online community and anyone looking to launch their website is well aware of the advantage of paying for the secure website hosting. 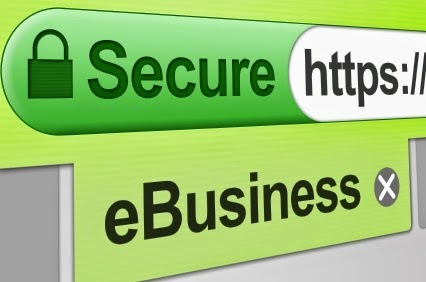 Here are a few tips to ensure you choose the most secure web hosting company for your website domain. Select a server host that provides you with a Secure Socket Layer (SSL) certificate which provides an encrypted path between the browser and web server. This encryption protects that data, both yours and your visitors’, from the prying eyes of hackers and malware like keyloggers. You can tell if it is being utilized by the ‘s’ added in your URL (instead of the standard prefix of http:// you get https://). This means you get the dual advantage of secure encryption protection and the instantly recognized reputation for having such technology protecting your customers' data. When hosting companies offer security packages, they encrypt your data and give you a private key so that even if a hacker manages to breach security, s/he cannot decipher the data and misuse it. Check the level or degree of encryption being offered e.g. 40-bit or 128-bit; the higher the number, the better or more complex the encryption. The web host should make sure the server is adequately maintained to ensure attacks are limited. Any external threats to the server and the sites hosted on it (e.g. DDoS attack) should be blocked and custom settings should allow for banning IP addresses, such as those of unsecured proxy servers that are known to present security threats. Check to see if the host has a published security protocol which is a good (though not guaranteed) indication that they are on top of upgrades and patches. Secure File Transfer Protocol is a step up from the generally used File Transfer Protocol (FTP) which allows you to upload files to your hosting account but with an additional layer of protection. There is a risk of files being intercepted and even modified with little to no indication of hacker activity despite the security net provided by FTP. SFTP fills in the vulnerability gaps of its predecessor and you should ensure this option is included in your host’s package. Practically every reputable web hosting company backs up all data to a remote server on at least a daily basis. This is a must as it allows the host to restore data to its entire network or to a particular site should it be damaged by a breach in security or by any other type of technical difficulty. Most hosts also provide a tool in the control panel that allows you to back up your own site. Check to see how often the host backs up their servers, what method they use and where backups are stored.